I have been asked to post or email presentations that I have had the privilege to give in the past few months. In addition, I have have added audio tracks so that the presentations have as much information as possible. I’ll be housing the links here so people can stream them. Please understand these presentations are a reflection of my intellectual work, and with that in mind I will include a citation for each of the presentations posted. Thank you and happy viewing. A presentation given at AERA 2014. Please note the sound is there, but it doesn’t begin until the second slide. Jimenez, L.M. (2014, April). 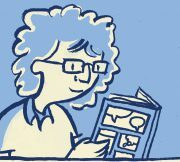 Sequencing expert readers’ metacognitive strategies in graphic novels. Paper presented at the annual AERA conference, Philadelphia PA.